Frozen Introduces Fractals! | What do self regulation and standards based education have in common? What can the new disney movie teach us about fractals? Fractals are geometric figures, just like rectangles, circles and squares, but fractals have special properties that those figures do not have (http://math.rice.edu/~lanius/frac/). If you are interested in finding the common core in a fun filled movie, the new disney movie has introduced children to the geometric figure hardly discussed before junior high “FRACTALS”! 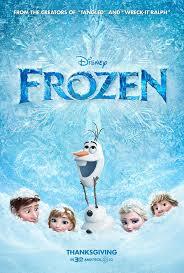 While Queen Elsa is unleashing her ice powers she describes her creations as “fractals”. What a beautiful way to introduce an unknown academic math vocabulary word into the minds and language of young children. A unit on fractals designed for elementary and middle schoolers can be found at http://math.rice.edu/~lanius/frac/.